That pretty much sums it up. 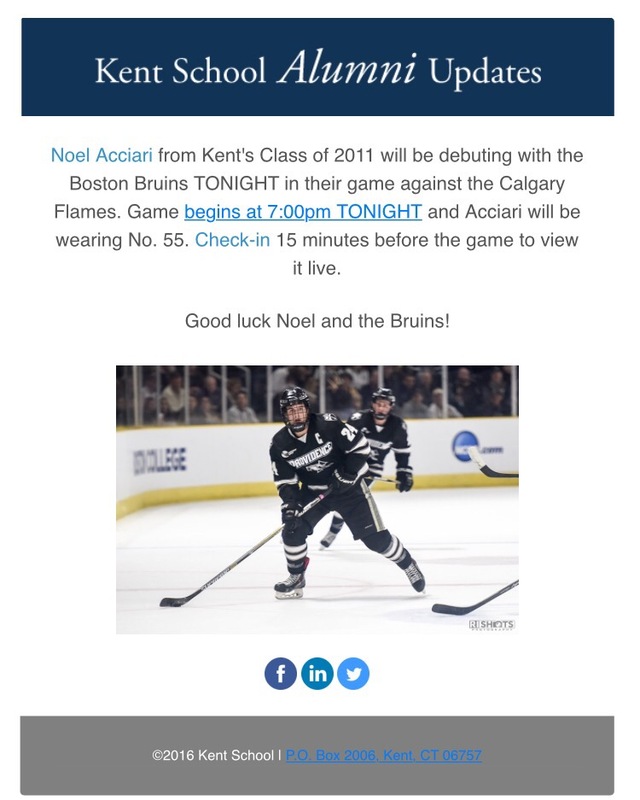 Kent School Lion and NCAA National Champion (that’s in order of importance) makes his NHL debut tonight for who cares there is a Kent grad playing in the NHL (okay it’s the Bruins). Your boy will be locked into Bruins-Flames tonight. Who knew? “If you see success in the Hockey (and hockey blogging) World, chances are there is a Kent connection somewhere.” -Matt Greason, national championship winning coach for Trinity College, NBD but KBD (parenthetical mine). And for those saying nobody cares about your little prep/Kent hockey blogs, the Kent School hockey program does numbers. Drives eyeballs. Delivers every time. It’s SEO, really. Deal with it.